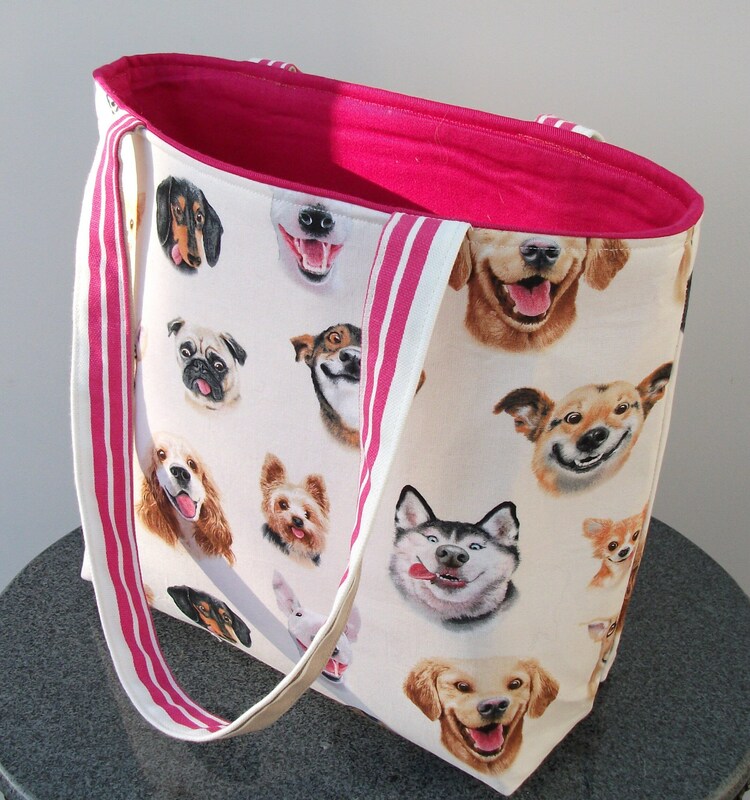 This is a very eye-catching, fun, practical small shoulder bag made from high quality cotton. 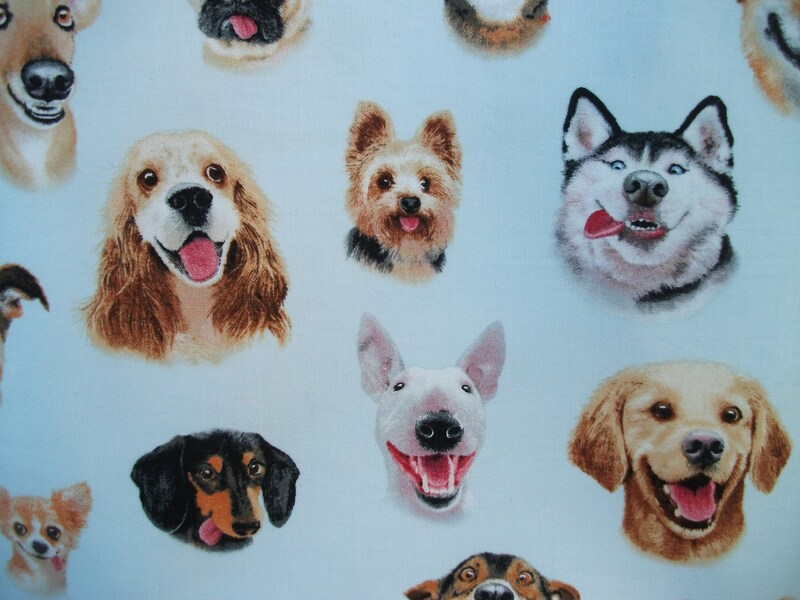 It has cute and adorable pictures of "dog- selfies" - different breeds of smiling dogs in various shades on a white background. 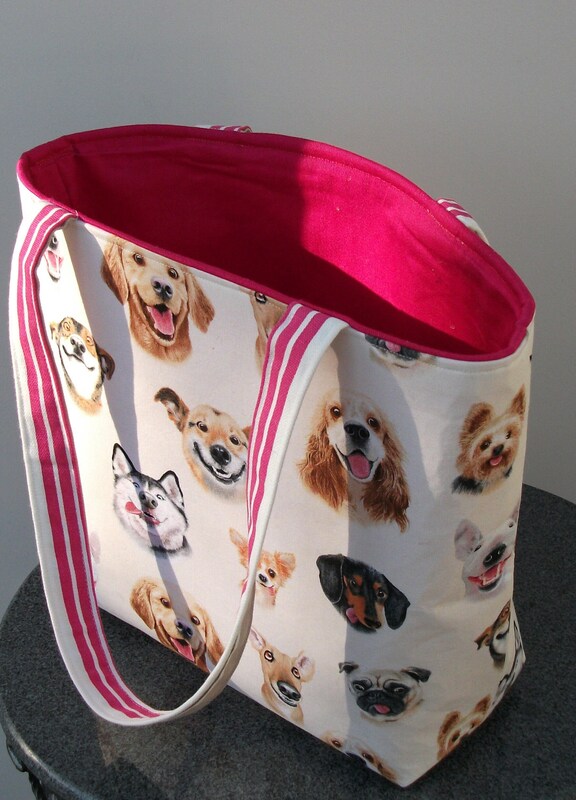 There are Yorkshire terriers, Labradors, Dachshunds, Cocker spaniels, pugs and lots more besides! 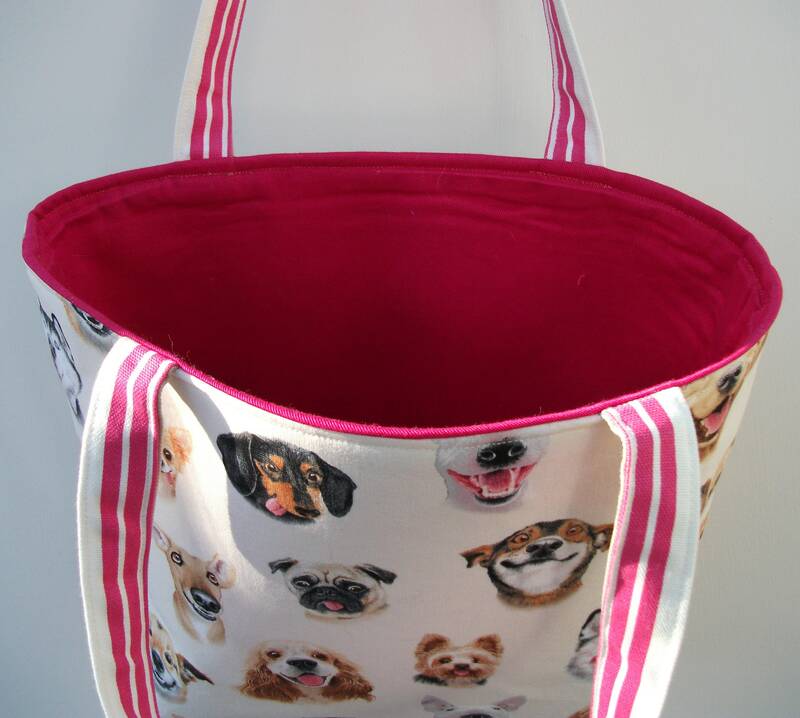 It is lined with a contrasting bright pink lining and interlined with a Heavyweight interfacing to give the bag strength and body. 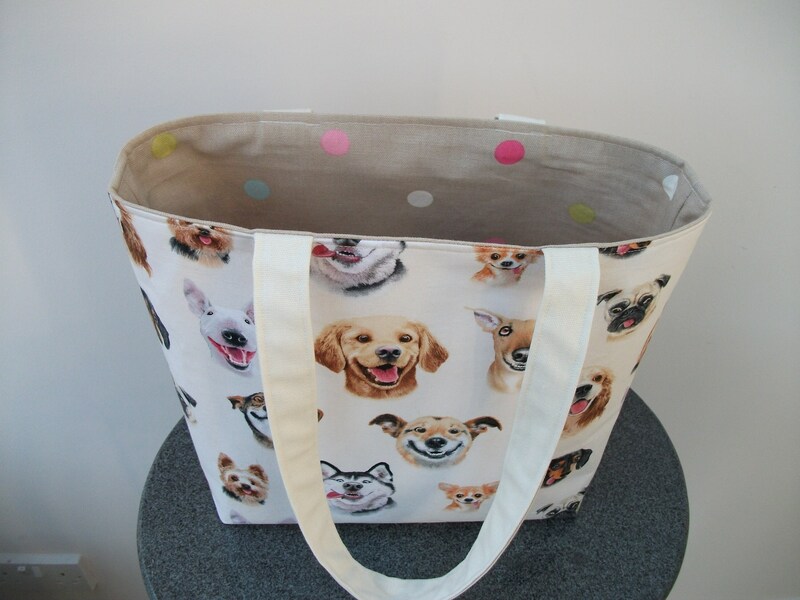 It can, therefore, be used for carrying a tablet or small laptop, books or for small items of shopping, or lunch items. 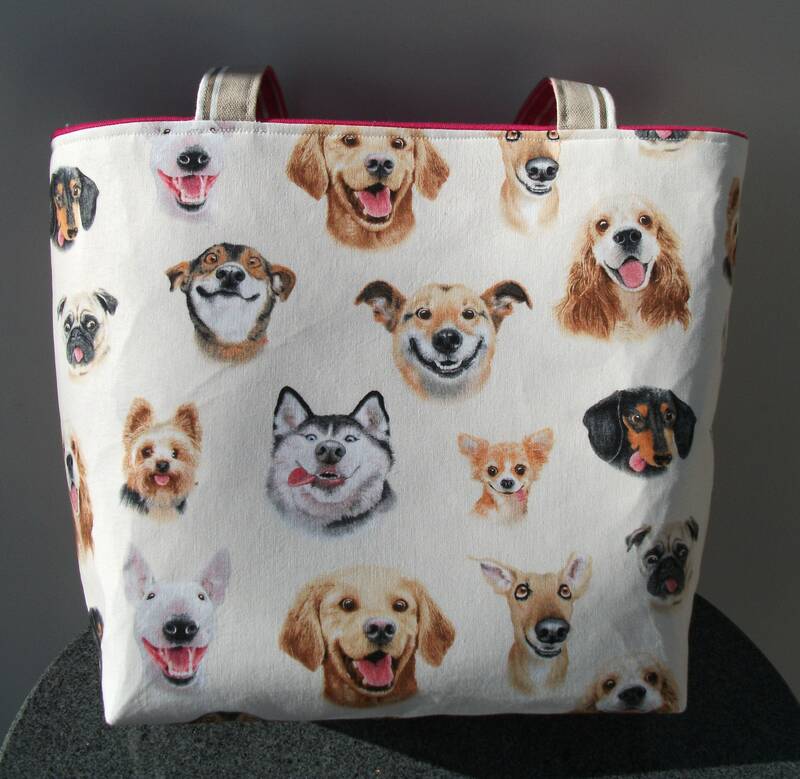 Any dog lover is sure to love this as a gift ! 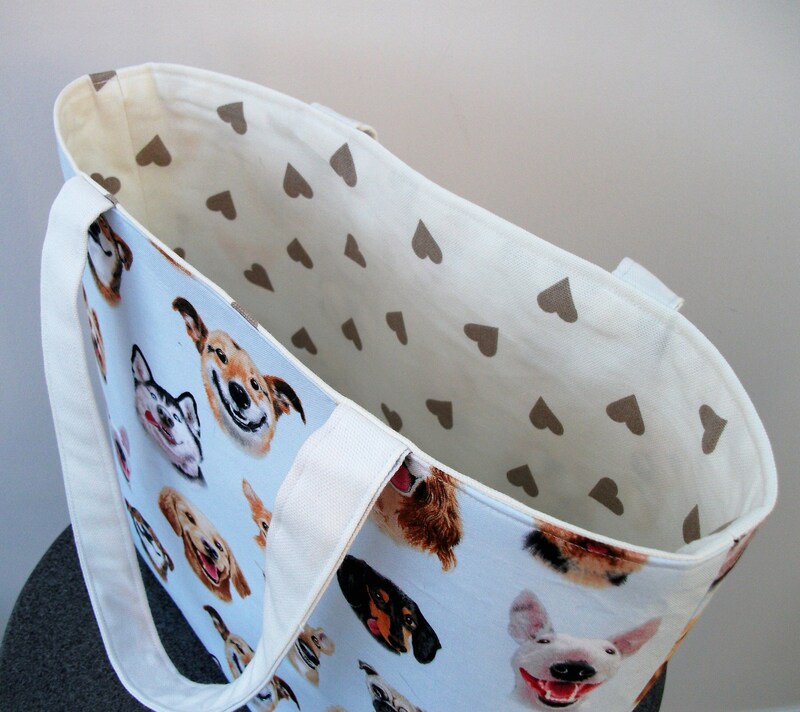 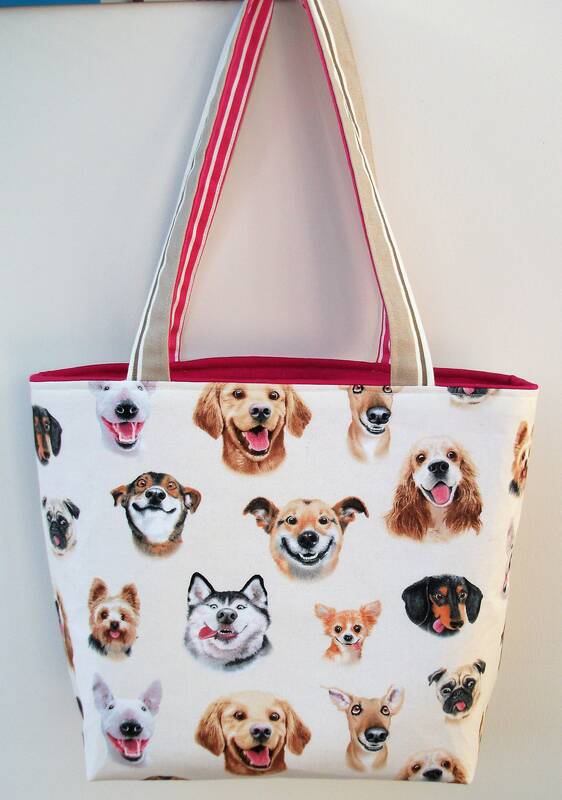 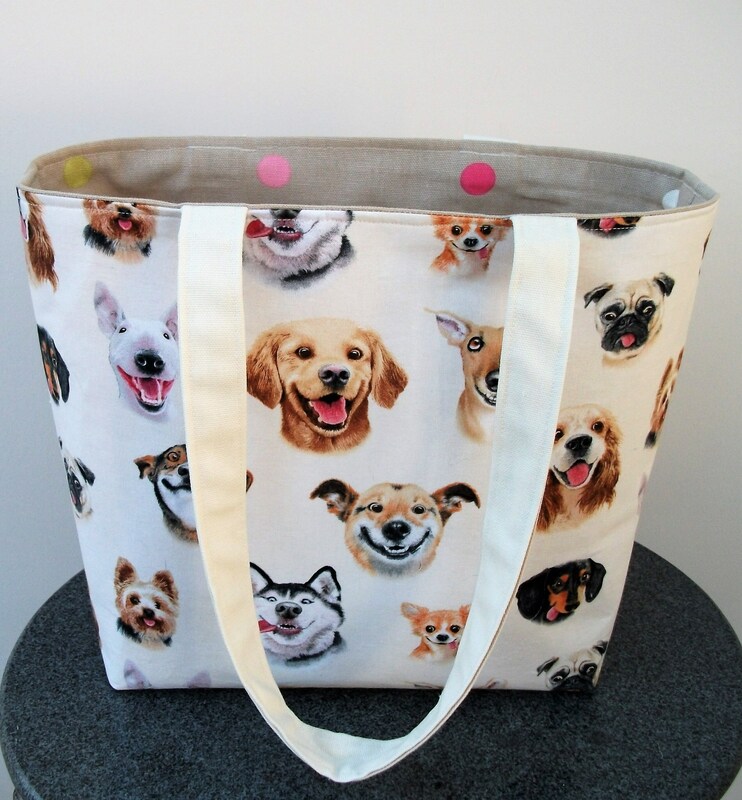 The bag also come in a blue fabric with the same adorable smiling doggie "selfies".